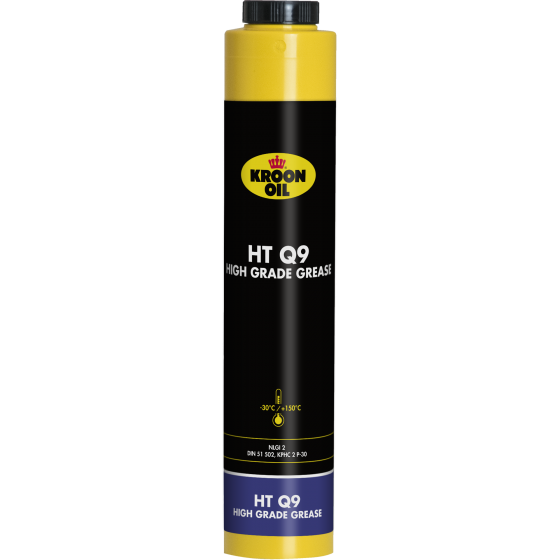 HT Q9 High Grade Grease is a blue, premium universal lubricant grease, suitable for industrial and automotive applications. The outstanding all-round properties make this the first choice for a range of bearings, including bearings exposed to heavy loads and/or high temperatures (up to 220 °C). HT Q9 High Grade Grease is available in handy Lube Shuttle screw cartridges. The Lube Shuttle grease guns can be ordered from us separately.